ONE of Scottish football’s leading administrators has called for the game to accept that supporters matter more than television companies, and to rethink the balance between the demands of broadcasters and the interests of supporters. Hibernian managing director Fife Hyland said he appreciated the value of TV, and wanted the Scottish Premier League to negotiate sensibly and good faith with the TV companies when they try to agree a new deal. But he insisted that, this season at least, the demands of broadcasters had been too easily allowed to outweigh the interests of supporters, particularly when it came to deciding kick-off times. “We want a good, solid TV deal, but we also need to balance that with a recognition of supporters’ interests,” he said. “At the moment, there is too big an imbalance in favour of the broadcasters. “In particular, we need to have a clearer picture of when kick-off times are going to be. I’m not saying that every game should be on Saturday at three o’clock, but it would be beneficial if supporters knew that games were going to be in one of just a few slots. There must be a way of us working with the broadcasters to get better kick-off times. Although attendances have been down at most clubs this season, for many, matchday receipts remain several times greater than income from broadcasting. For example, in their last published accounts, for the year to July 2010, Hearts revealed that their matchday revenues were more than two and a half times greater than their income from broadcasting. The Tynecastle club’s income from TV was £1.5million, while that from matches (gate receipts plus smaller associated items such as programme sales) was £3.9m. There is an even greater disparity across the city at Easter Road, where Hibs are understood to take in around four times more from matchdays than they do from broadcasting. The debate about the role of TV in Scottish football has been reignited over the past week with news that the ten non-Old Firm clubs in the SPL want to change the league’s voting structure, which at present requires an 11-1 majority for substantial changes to be passed. Dunfermline chairman John Yorkston said in yesterday’s Scotsman that he would urge the ten to resign if Rangers and Celtic continued to block democratisation of the rules on voting. Celtic chief executive Peter Lawwell has labelled the ten clubs “divisive”, while SPL chairman Ralph Topping urged all member clubs to stop bickering and rediscover unity. A new £80m TV contract with Sky and ESPN, which is dependent on the provision of four Old Firm fixtures a season, begins next season, and Topping suggested that contract showed the importance of Rangers and Celtic to the revenues of all SPL clubs. But the figures on matchday receipts contradict the implication from Topping that the SPL is dependent on TV money, and that the other ten clubs should acknowledge the vital role played by Rangers and Celtic in securing that money. 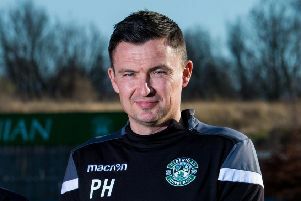 Hibs are not taking as radical a stance as Dunfermline on voting reform, but Hyland did suggest that Scottish football was risking becoming too subservient to TV and thereby damaging its relations with supporters. “We know TV is important to Scottish football but it’s not the be all and end all,” he added. “The be all and end all is our supporters. Without supporters the game is nothing, and we need to attract as many back to the game as possible. There are good revenues from TV, but supporters have to be sure of what we’re offering, and we need more people coming through the gate. We’re fed up of getting dislocated so much. “Our game at Inverness this Sunday, for instance, was originally a lunchtime kick-off. Now it’s 3pm. Hibs matches have already kicked off at 11 different times this season, and that will rise to 14 in the coming weeks. On top of Saturday at 3pm, the Hibs kick-off times so far this season have been: Saturday 12.30 and 1.30; Sunday, noon, 12.15pm, and 3.45; Monday 12.15pm; Tuesday, 7.45; Wednesday, 7.15 and 7.45; Friday 7.45. The Sunday three o’clock kick-off at Caley Thistle will be an 11th different starting time and, in the fortnight after that, Hibs will have two more times to add to their list. Their home game against Motherwell on 8 April, Easter Sunday, starts at 12.30, and their Scottish Cup semi-final at Hampden against Aberdeen kicks off at 12.15pm on Saturday, 14 April.